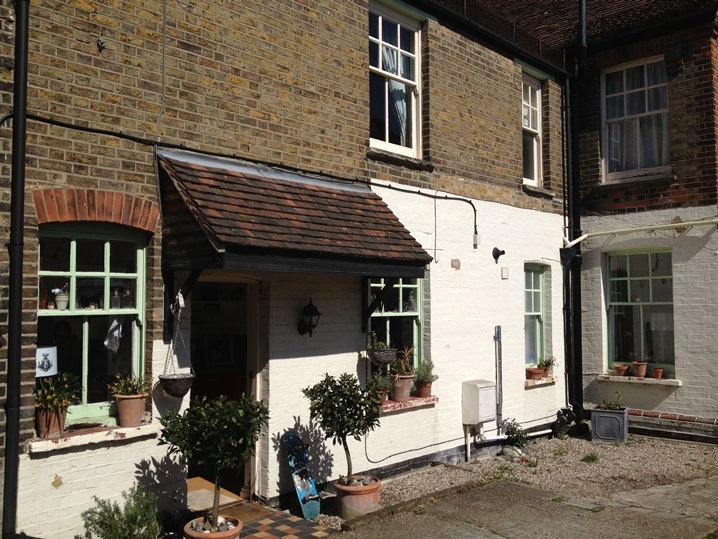 At the end of May the rain let up for a couple of weeks and the sun shone, so we capitalised by embarking on this exterior painting project in Chelmsford, Essex. This place was in poor condition, a whole lot of preparation was required to bring it back to life! The property is a semi-detached Victorian end of terrace comprising three floors. 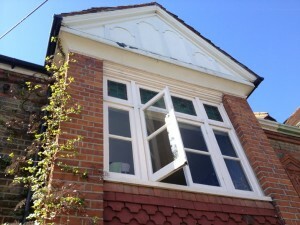 Unfortunately the exterior joinery hadn’t been painted for a very long time and the paint was flaking badly leaving timber exposed to develop substantial wet rot, also the previous decoration was substandard; windows were jammed shut with paint, rot had redeveloped in areas filled with car body filler and there was a general untidiness with paint runs and wobbly lines. Rot had developed substantially in many areas, which had to be completely removed. 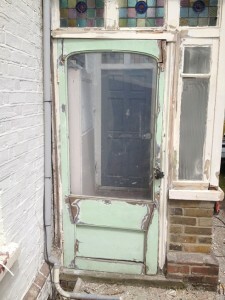 When properties get into this kind of condition, the owners often consider renewing windows and doors etc with new, but this is often unnecessary as even badly weathered and decayed joinery can be brought back to life by any painter and decorator armed with the correct knowledge and skillset. In a bit of a sorry state! 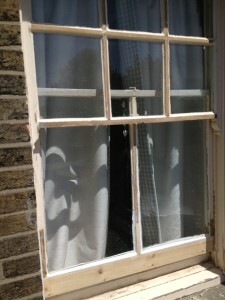 Yes, when it gets to this stage there is a hell of a lot of work to be done in order to make them look good again and yes, it is more costly than your average exterior painting project due to the extensive preparation work that is required, but overall you can probably expect to pay around 20-25% of the cost of replacement windows. 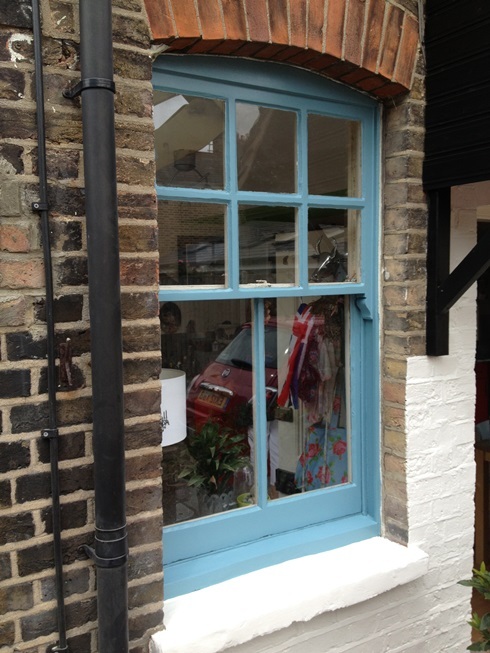 Plus, if you own a period property such as this one then the building retains character by reviving the original windows. Thorough Preparation is required for long lasting results. 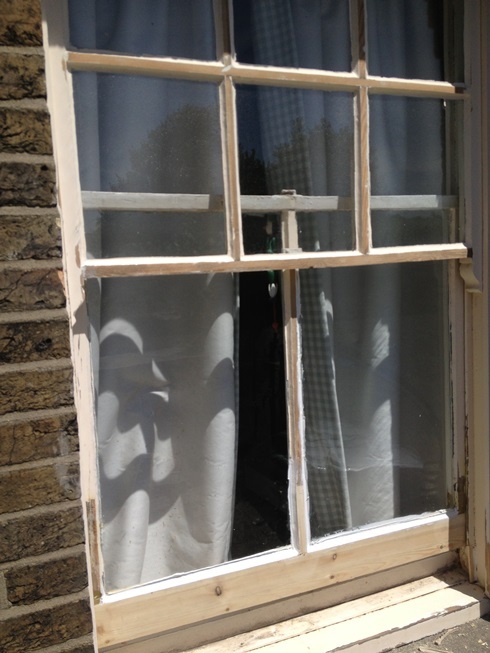 So our painters and decorators set about the windows and porch with rotary sanders, carbide scrapers and shaving hooks until pretty much all of the existing paint film had been removed and the timber was completely bare. A blank canvas if you will! A quality finish is just as important. During the stripping process we unearthed even more unforeseen rot and the extent of the job became truly apparent. 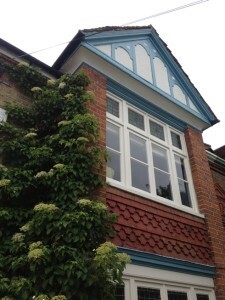 For long lasting joinery repairs our preferred system is the range of products available from Repair Care. 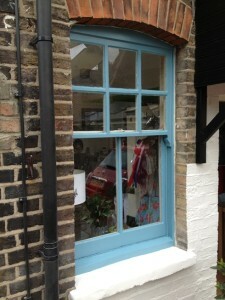 You can see more info on our Joinery Repairs by clicking on the ‘Services’ tab. 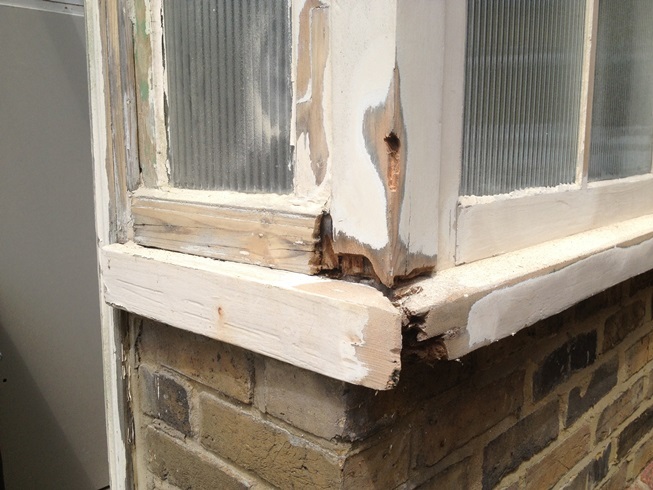 Also available from Repair Care is a product known as Dry Seal MP, this is a glazing sealant used in place of traditional linseed oil putty. 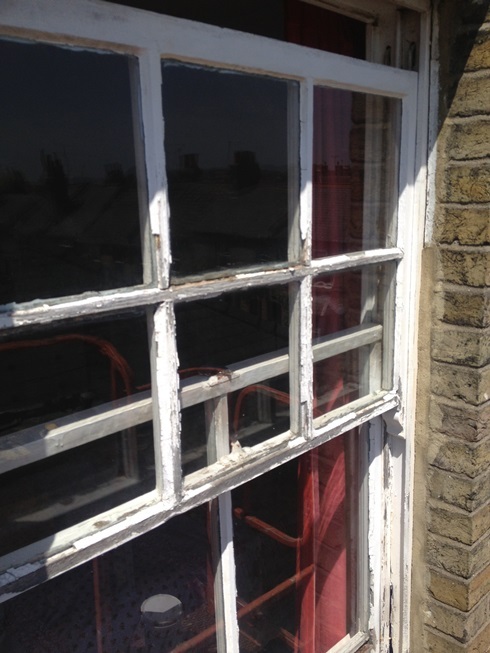 Having not been correctly maintained, around 80% of the existing putty was loose of defective and had to be removed, we specified that it be replaced with Dry Seal MP on this project for three reasons. 1. Because of the curing time, linseed oil putty takes around 21 days before it can be over painted whereas Dry Seal MP can be painted in around 2 hours. 2. 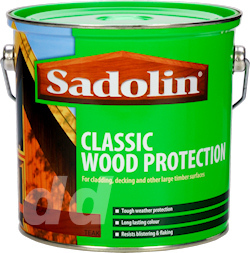 The paint system that we specified was Sadolin Superdec, a highly flexible and breathable coating, which is incompatible with non-setting putties. 3. Dry Seal is highly flexible and will outperform and last longer than traditional materials and indeed most products available on today’s market. 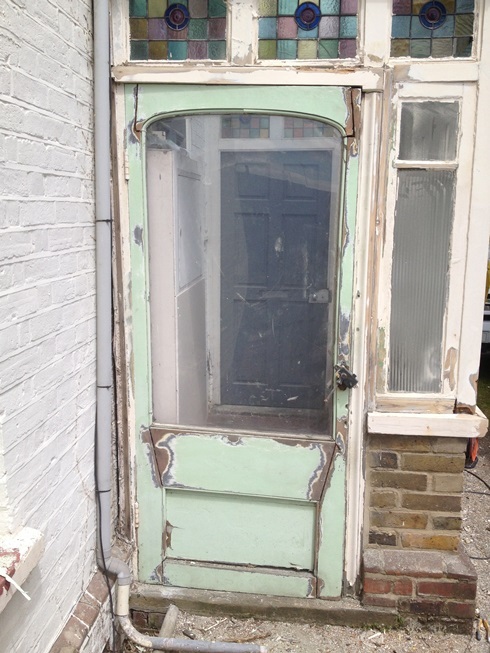 With the remedial work complete and the sash windows stripped, freely moving and all fully operational we decided it was time to get some paint out. Primer to be exact… well sort of. 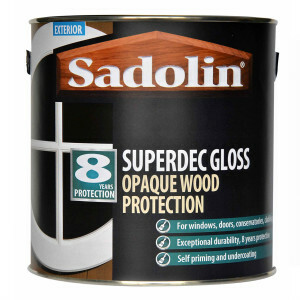 For the basecoat we specified Sadolin Classic woodstain. ‘Wood stain? !’ I hear you say. Yep, we use Classic because it penetrates into the timber, rather than a film sitting on top. It is also microporous which allows the timber to breathe meaning that any moisture in the timber can evaporate freely without kicking off the paint. As it is oil based it also holds back any water stains that would otherwise show through the acrylic top coats. Priming done and we move onto the next stage, more prep. Not as aggressive this time though! After the primer coat the wood fibres ten to raise up, these need to be sanded down smooth using fine grade sandpaper, Mirka Abranet is perfect for this kind of work as it sands so efficiently and leaves a super smooth finish to work on. 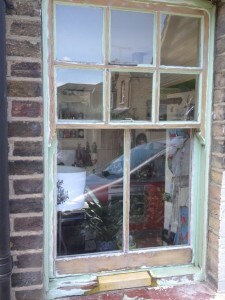 This is also a good opportunity to fill any imperfection as well as caulking minor gaps and cracks. So with a perfectly prepped window, it’s time to start getting on the top coats which for this project was Sadolin Superdec. Superdec, as mentioned above, is completely breathable which means it is highly resistant to flaking and peeling. 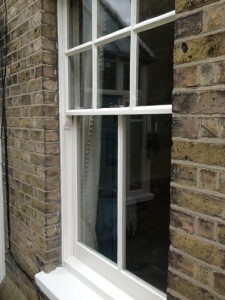 It is also extremely flexible which will bridge any fine cracks that may appear in the joinery as often happens during the sliding/slamming that occurs when opening and closing windows. Three coats of Superdec on top of properly prepared exterior woodwork will outperform any conventional undercoat and gloss system available. It will also reduce future painting costs as next time around it will just need washing down and a maintenance coat or two. We hope you have enjoyed reading our article and have found it useful and informative then you can stay up to date with our Blog by subscribing here. 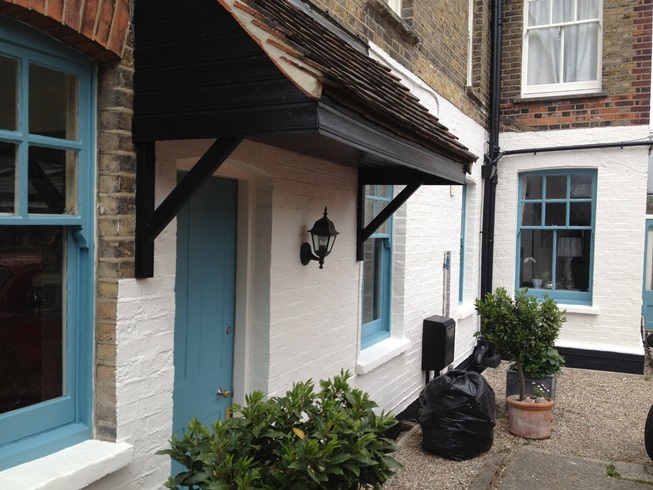 If you have a similar exterior painting project and need a company that you can trust to do the work properly then please get in touch, we thrive on challenging projects like this one!